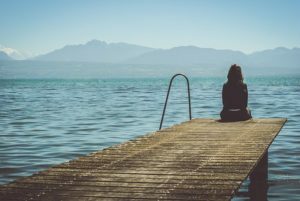 Are you currently in the midst of school holidays post divorce? Are you struggling with not have your kids as much or because you have them all the time on your own? Holidays post divorce can be difficult. Having shared custody of your children can take some getting used to after a divorce. It often means holidays with your children that were once shared with another adult is now all up to you. It also means that holidays can fill us with dread at what we’re missing out on with our kids because they are not with us. For many, holidays can be a time of great happiness and relaxation. There is a sense of joyous expectation and lovely memories are made. 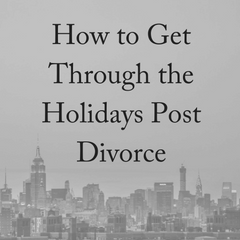 For others, though, holidays post divorce can be a time of loneliness and sadness. Things that were once familiar now seem strange and difficult. The reality for many is that families that were once together are now separated and children may be with one parent and not the other during our holidays. It can be hard for both. Divorce means that we now have to navigate through territory that is new and sometimes overwhelming. But it doesn’t have to remain that way. Although it can be a challenge, there are choices you can make that will help you and your children to make the most of the new situation you find yourselves in. It can be tricky in situations where there is parental and custodial conflict (in which case a court will often decide on holiday custody for you) but by planning ahead you can help to turn what if often viewed as a negative into something much more positive. Start new traditions. Traditions help tie us to each other and define who we are. Because how your family looks has changed it can be helpful to begin new traditions to break with the past and start anew. This doesn’t mean that you can’t put up your Christmas tree together on the 1st December like you always have, but making new traditions signals moving on. There is also something about starting traditions together that says each contributor is important. This can be especially important for children who are struggling with their worth and maybe how they now fit into this ‘new’ family. Create something new and exciting for Easter Sunday morning, and enjoy something new. Plan holidays ahead and with the children in mind. Planning ahead is wise on several levels. When we plan ahead we have time to make firm plans negotiated with space. When we try and do things in a hurry and emotions are just on the surface we are likely to ‘plan’ with clouded vision and focus on what we’re feeling, rather than what’s best for the children. For significant holidays it is (in most cases) better for children to spend the day with one parent and then the other on alternate years. This is particularly helpful for when divorced couples live further away from each other. Being shuttled from one place to another is not an enjoyable holiday for anyone. Keep your word. Do what you’ve said you would do and with grace. Being on time with picking your children up or dropping them off to your ex is kind to your kids and is hopefully reciprocated by their other parent. Setting the tone for holidays for your children (and for you) is a lot about attitude to the things you do and things that others do to and for you. Sometimes it really is better to be the bigger person. Let your children stay in touch. Help them to keep in contact with your ex. This means pass on any communication by the other parent rather than keeping it from your children and help them to make a phone or skype call to say hello or to wish them a ‘Happy Holiday’. Enjoy gifts. If you give your child a gift, allow them to take it to the other parent’s home. Don’t let it be a gift with strings attached – that’s not really a gift. It’s also a great idea to communicate with the other parent about the gifts you’re each giving so you can coordinate. You want gift-giving to be enjoyable, not for it to be a competition about who gave their child the better dolls house or games console. 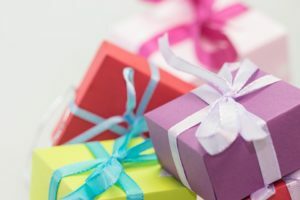 Giving gifts should be a pleasure for your children as well and by encouraging them and helping them to buy a gift for your ex, you will be giving them a gift – the gift of permission to love the other parent. Be honest. 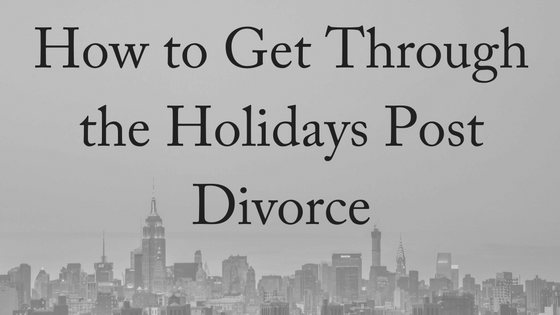 If your children are old enough and mature enough, let them know that holidays post divorce are a bit harder for you by yourself if that’s how you feel. It might be that money is tighter and you’re just a bit more tired. Help them to figure out with you what some good ideas for holidays might be with those issues in mind. You don’t want to whine about how hard you might be finding things and burden them with too much info, but children are much better than we think at picking up on what’s really going on. Talking about it openly takes the sting out of it and sharing together builds stronger bonds. If you are away from your children for the holidays you can still keep in touch via Skype or phone. Another option is to make a video recording of a message for your children for them to take with them. Some psychologists suggest that, with younger children, the absent parent make a video or audio reading of a holiday book or send a special video message to the child or children to fill the void of that parent’s absence. If you know that you will be find it hard being away from your children during your holiday then plan ahead so that you will be busy with friends and other family. Try to appreciate the time you have in moments by yourself and do some of those things which are hard to do with children around. Caring for your children is an important task, but you also need to look after yourself. At Divorce Laywers Brisbane we understand the complexities of figuring out parenting arrangements. Our compassionate and experienced lawyers offer a free, 10-minute phone consultation. Please contact us today.